Coral, not bleached by acid. Coral is both plant and animal; a polyp that grows it’s own exoskeleton, and it is dramatically affected by the ocean’s increased acidity. 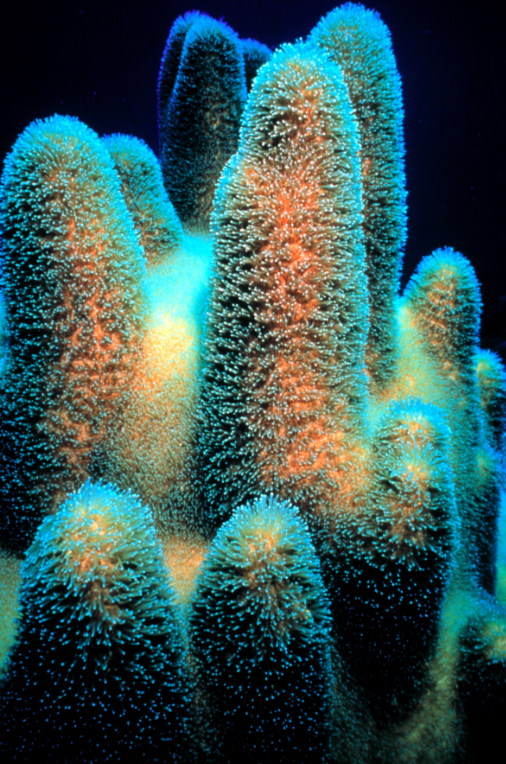 Acidification of the ocean reduces coral’s ability to grow, and even deteriorates existing coral. Large areas of the world rely upon the coral ecosystem. Coral reefs are called the rainforest of the ocean: 25% of the world’s marine species live in and upon coral, even though they occupy less than 1% of the ocean. Tropical waters that are home to many coral ecosystems are actually very nutrient poor, and coral reefs provide the food and shelter that living things need to survive. The whole structure is dependent upon the coral’s presence. Ocean acidification is eating away an entire ecosystem. 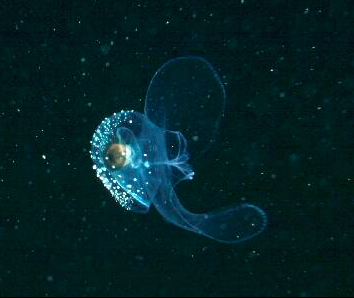 A pteropod: the butterfly of the sea. Pteropods are another calcified organism. You may not have heard of pteropods before because they can be very small, but they play a substantial role in the food chain. If pteropods aren’t able to build their shells, everyone further up on the food chain (including, salmon, penguins, polar bears) will end up hungry. Humans, you may be aware, are also at the top of the food chain, and already benefit greatly from tiny pteropoda when most of our farmed fish and wild caught fish eat them. Without them, we’re simply out of luck. 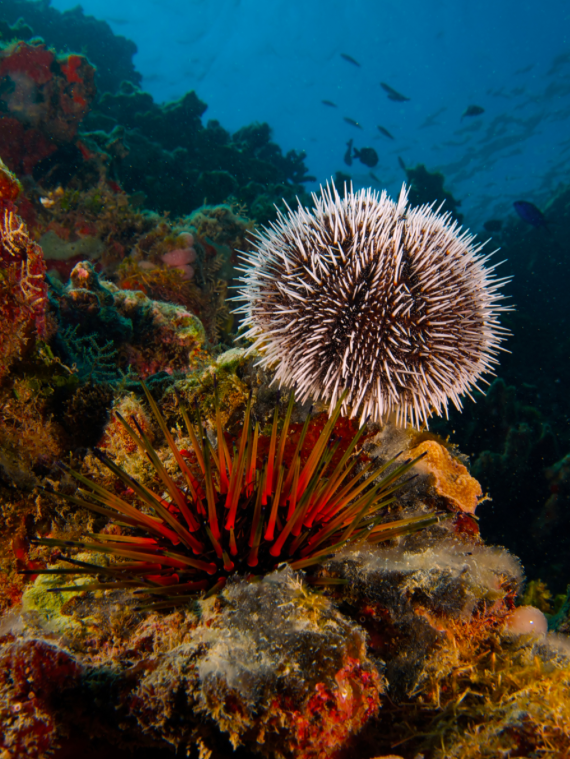 Sea urchins, clams, sea stars and mussels are other calcified organisms that suffer in acidic conditions. I could go into the detail about how each thing lost would create a ripple of devastation but there’s not really any more time to waste. I don’t want to end this blog post on a negative note, but carbon is still increasing rapidly in our atmosphere and we’re not doing much to prevent that. Our oceans are absorbing more carbon everywhere the air touches the sea, and some scientists question if the ocean will ever reach a saturation point or if it will continue to carry our heavy carbon burden. What are some ways to help? More next time. PS: Here’s an interesting comparison. The blood in human bodies has an average pH of 7.4 (ish). If it drops below 7.35, the body’s ability to function is severely diminished. If left unchecked, it can lead to coma, and death. Now compare with what’s happening to our oceans… basically, we’d be dead already.